Sure we could have fired up some seasoned extra firm tofu or seitan steaks but basically it was a veggie burger and veggie kabob kind of night! 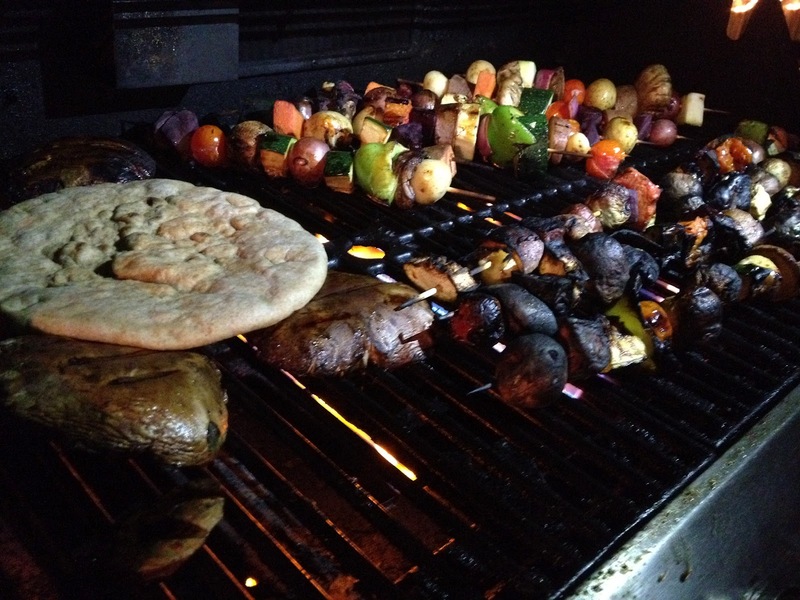 After the grill was cleaned and sanitized from the meat eaters lol — we were able to cook the vegetables. They were coated with a light balsamic vinegarette and some olive oil. 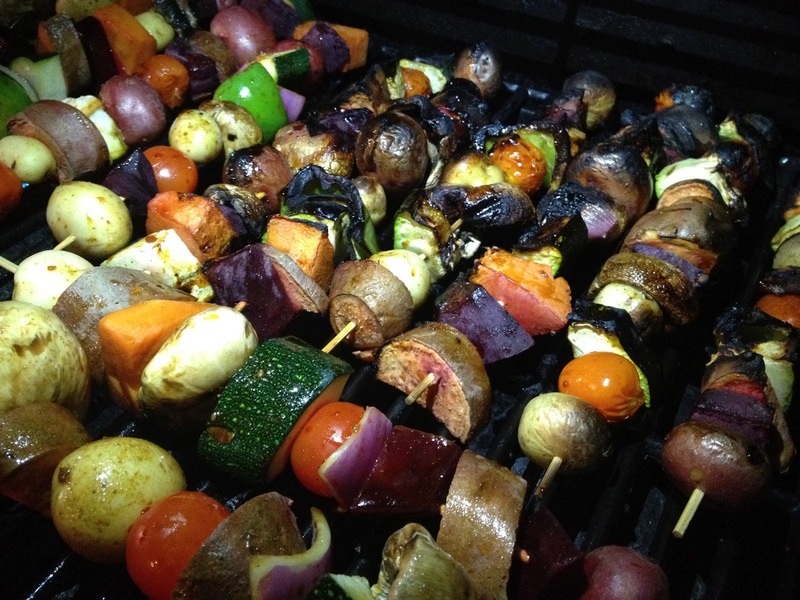 Making kabobs is also another fun event of dining and preparation. We had to soak some vegetables in warm water so they would cook evenly with the others that had shorter BBQ times. We soaked the beets, white potatoes, sweet potatoes and pumpkin. We were hesitant to soak the beets fearing the other vegetables would all turn red. My hands, clothing and cutting boards all went red but surprisingly… the vegetables retained their colors.